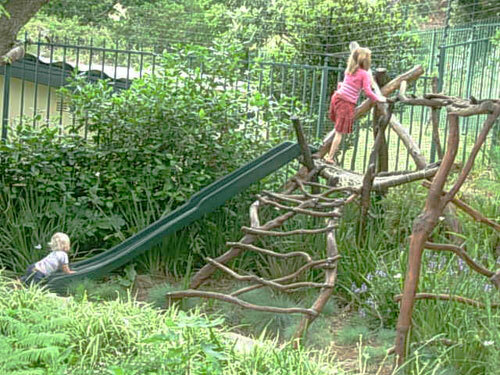 No jungle gym is ever complete without a slide! 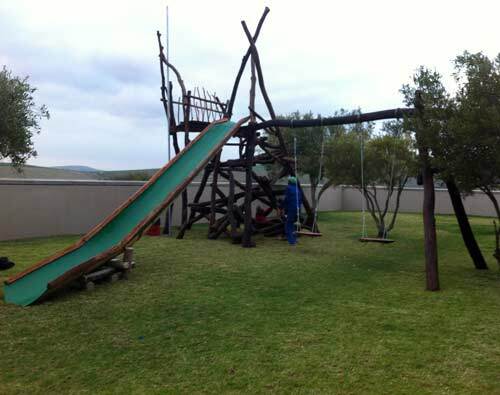 We have a number of options which we can add to our own or your existing playground. 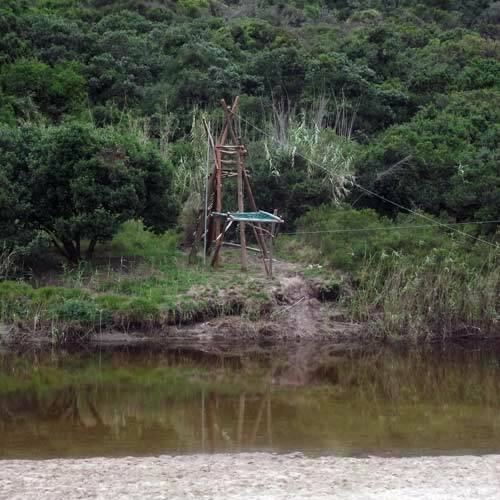 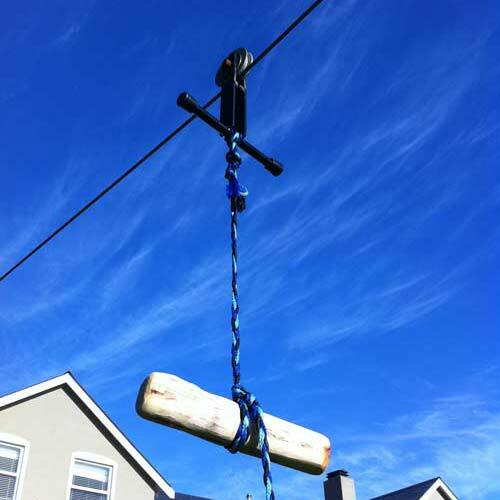 Foofy Slides(or Zipline): Made of strong sailing rope or 10mm cable and a professional foofy slide attachment. 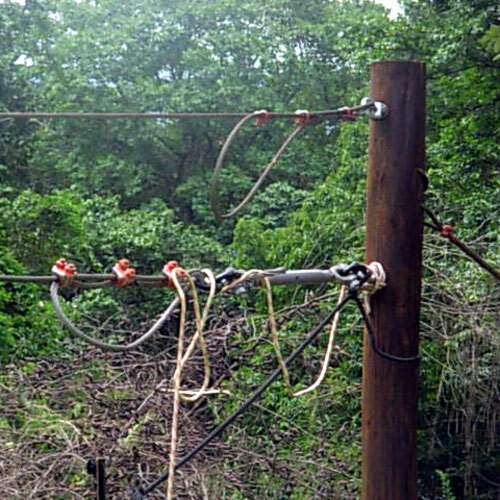 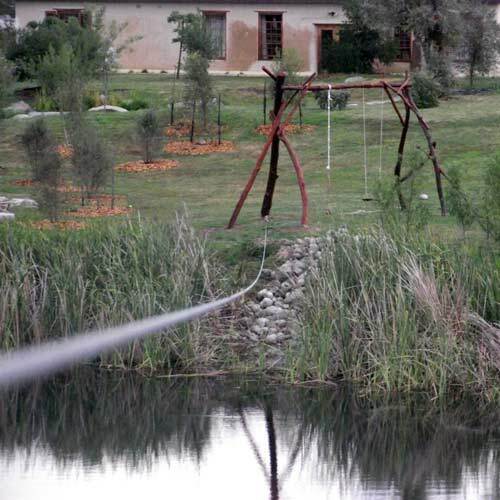 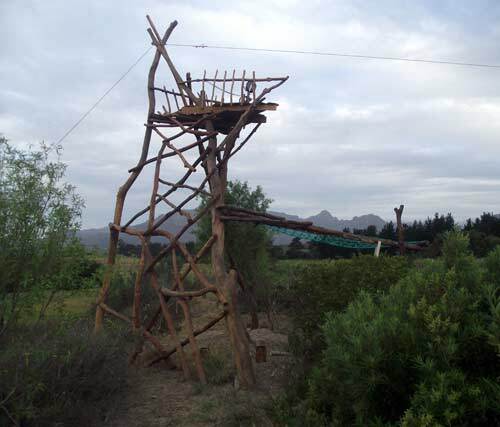 It can be strung between trees or we can build you a solid structure. 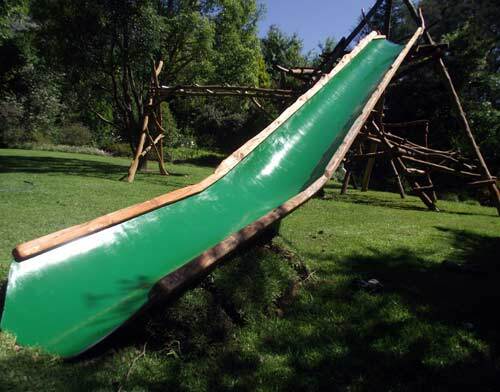 Standard Slides: Made out of fibre glass. 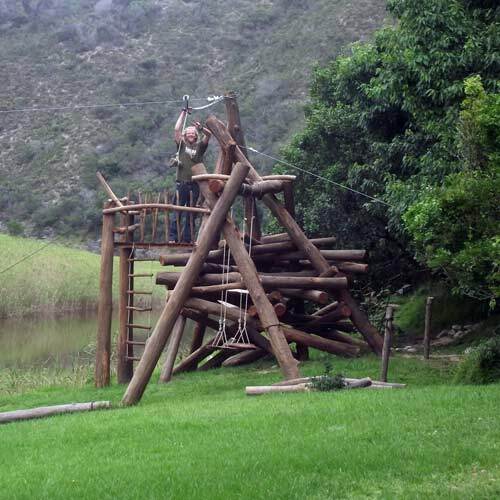 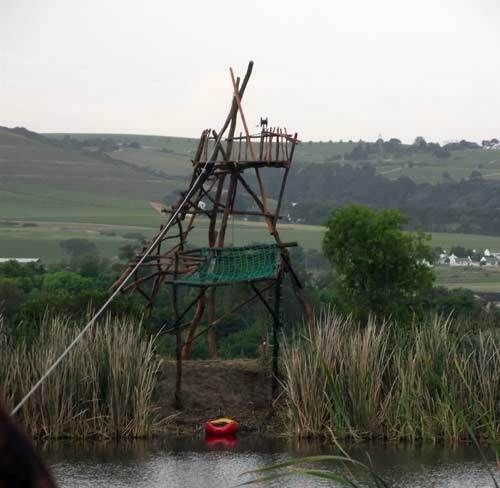 Big Slide: A “half round” long slide (4m - 7.5m) is perfect from a tall tree, or a tree house or maybe your bedroom window? 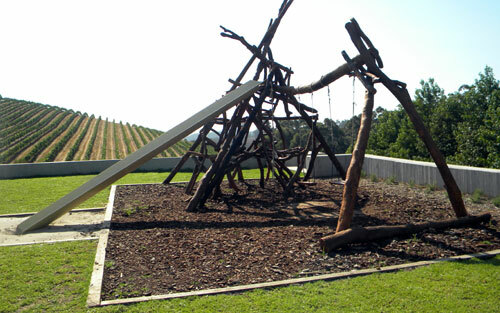 The slide is trimmed with rustic wood for a more organic feel.